U.S. Government Approves Fox Sale To Disney! Passes Anti-Trust Hurdle With One Caveat! 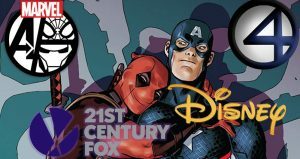 WASHINGTON — The Justice Department’s approval of The Walt Disney Co.’s purchase of Fox assets is quicker than Wall Street analysts and others were expecting — and it certainly has implications as Comcast weighs whether to counter its counter offer. …In announcing the approval, the Justice Department noted that “to streamline agency clearance, Disney agreed to divest the 22 RSNs rather than continue with the Antitrust Division’s ongoing merger investigation.” In other words, it became clear to Disney what the Justice Department’s major concern was with the deal: Disney’s purchase of the RSNs would harm competition for sports programming in those local markets. Rather than try to challenge that contention or negotiate some kind of conditions, a process that could have taken many more months, Disney agreed to the type of structural remedy favored by the DOJ under antitrust chief Makan Delrahim.